PCIM Asia 2017 and the Call for Papers is now open. The conference with its adjacent running trade exhibition is the most important communication platform for power electronics and its applications in Asia in this coming year. The latest date for abstract submissions is 16th November 2016, with PCIM Asia taking place from 27th–29th June 2017 in Shanghai. Invited to present the latest developments and expectations, are the experts from industry and science for future trends in the power electronics industry. 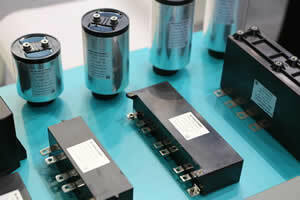 Especially sought are applications for the specific and increasing demand of power electronics in Asia. The focus will be on the topics E-Mobility, Silicon Carbide, Wide Bandgap and Charging Stations. Proposals will be considered for oral presentations or posters. All submitted abstracts will be reviewed by the international Board of Directors and the Technical Committee. The accepted papers will be included in the official PCIM Asia proceedings and published in the major scientific databases of IET Inspec Direct and IEEEXplore. The conference language is English or Chinese. Also in 2017, amongst all contributions, two outstanding contributions in the categories “Young Engineer” and “Best Paper” will be honoured during the conference. Each award will receive prize money to the value of 4,000RMB.